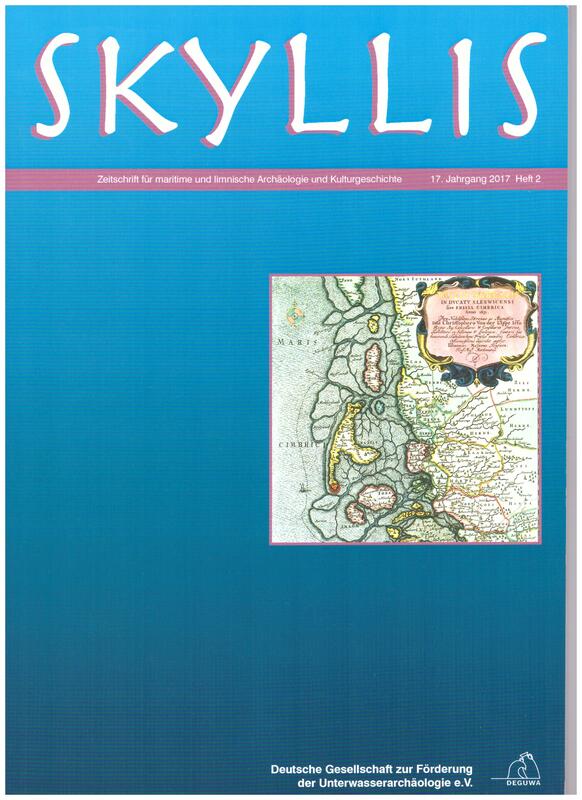 SKYLLIS is the journal of the German Society for the Promotion of Underwater Archaeology. It appears periodically in print since September 1998 in succession of the DEGUWA-newsletter. The latest volume (17, Book 2) was released in December 2018, here ist the TOC. In spring 2016 a part of the contributions hold at the IKUWA 4 has been published as SKYLLIS 2014 Supplement. All »In Poseidons Reich« conference proceedings are published in our SKYLLIS journal. If you aim to contribute to the next volume, please refer to the notes for contributors for further guidance. All articles are published with German and English abstracts. Manuscripts submitted in French, Italian or Dutch - however - will be translated into German. Indices of contents of the volumes are available in our online-archive. You can get the skyllis by a subscription or a DEGUWA membership. For subscribing or ordering a single issue, please fill in the SKYLLIS order form and send it via post to the given address. You can also order single journals at the BAG-Verlag.